Residential and commercial property owners in need of quality roofing services can reach Titan Roofing LLC at 843-647-3183. 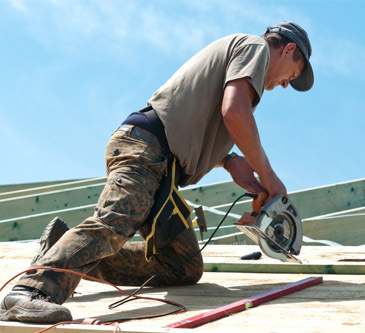 We work on all types of roofs and no project size is too big or too small for us to tackle. Whether you have a leaking roof in need of repair or an older roof that you want to replace, rely on us to get the job done. Speak with Titan today by calling 843-647-3183. Residents of Johns Island in Greater Charleston South Carolina looking to replace their aged roof will accomplish their roofing goals when they partner with Titan Roofing. Because our certified roofers have over 25 years of experience, we have developed the best techniques for replacing your roof correctly. We will not be surpassed in timely completion or quality workmanship on your roofing project; schedule your roofing services with Titan today at 843-647-3183.
Business owners on Johns Island in need of roof replacement services work with Titan Roofing LLC to accomplish their roofing goals. Don’t trust out of state contractors to get the job done the right way; they are simply looking to complete the job quickly. By working with Titan you can expect exceptional quality and customer service the first time around. Titan Roofing understands that in many cases your roof may be leaking or damaged but it does not yet need to be replaced. While all roofs eventually must be replaced, many leaks, damaged siding, or other issues with your roof can repaired. We will conduct a full assessment of your roof to best determine the proper course of action when repairing your roof. Don’t wait to get your roof repaired, because it can end up costing you more money in the long run if the damage spreads or worsens. 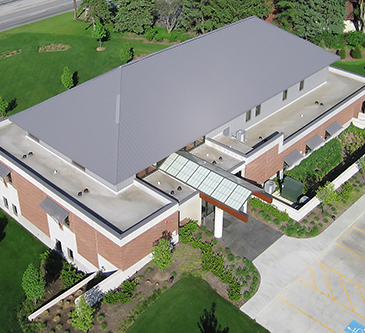 Call Titan Roofing today and work with our roofing specialists for your roofing repair or replacement needs. We are the trusted choice on Johns Island in Greater Charleston South Carolina and can help you accomplish your roofing goals. Speak with us today to schedule your appointment by calling 843-647-3183.